Whenever roadway improvement projects are undertaken in residential communities, local property owners can be subject to eminent domain — the taking of some or all of the owner’s property to accommodate the project. The Powell Road eminent domain project is no different. 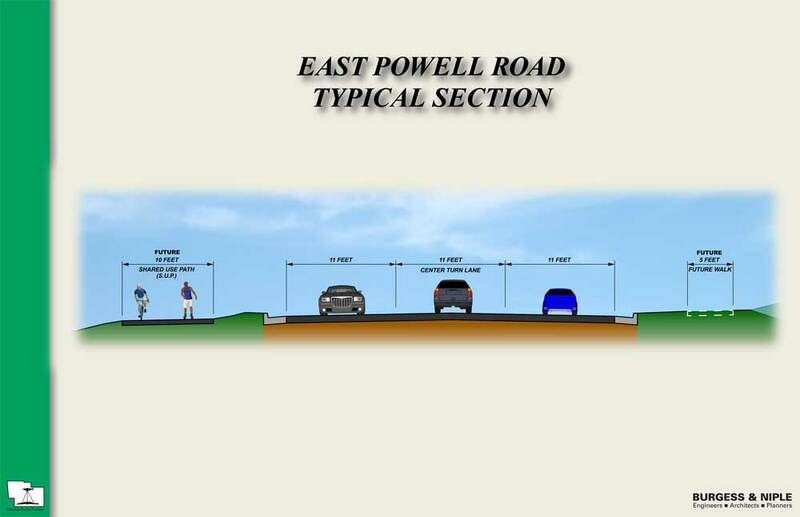 The East Powell Road eminent domain construction project is designed to improve current and future mobility on East Powell Road. According to the Delaware County Engineer’s office, there are several purposes and needs stated for this project. Estimated vehicle traffic is expected to nearly double by 2035; exceeding the capacity of a two-lane road. There are currently no pedestrian or bicycle facilities at the Powell Road eminent domain project. The left turn crashes at the intersections are higher than statewide averages. The curves and cross slopes on the existing roadway to not meet current design standards. Provide sufficient roadway to accommodate future traffic. Improve safety by designing new roadway to meet current design standards. Furnish a bicycle and pedestrian path. The proposed usage is illustrated in this architectural rendering. Loss of use of some or all of their property. Loss of value — “diminution of value” — of their property. Increased foot, bicycle or vehicle traffic nearer to their property. Clark Perdue has helped property owners with loss of property value and other losses resulting from various eminent domain projects. Power line installation and road constructions projects are just two of the many reasons why property owners are subject to the taking of some or all of their land. If we can help with a potential taking of land because of eminent domain, please call us.